Sundayâ€™s event at Atlanta Motor Speedway marks the competitive debut of the new aero package for the NASCAR Monster Energy Cup Series, as well as the first race of the season to properly gauge where teams may be in terms of performance. With the track more reminiscent of old-school Darlington with how worn the surface is, tire falloff will be substantial this weekend, so it is quite a stretch to imagine a race like the All-Star race or the Xfinity race at Michigan. While all reports coming out of the garage basically come down to that no one has any idea who to keep an eye on, I will be watching three teams in particular. While they may not be necessarily going for the win, their qualifying results have my interest piqued. Aric Almirola, Starting on Pole. Scoring just the second pole of his career, of which his maiden pole was back in 2012, Almirola has had quite a roaring start to his weekend. He was in the top five in the first practice, and he was the cherry on the top of a Mustang 1-2-3 in qualifying. 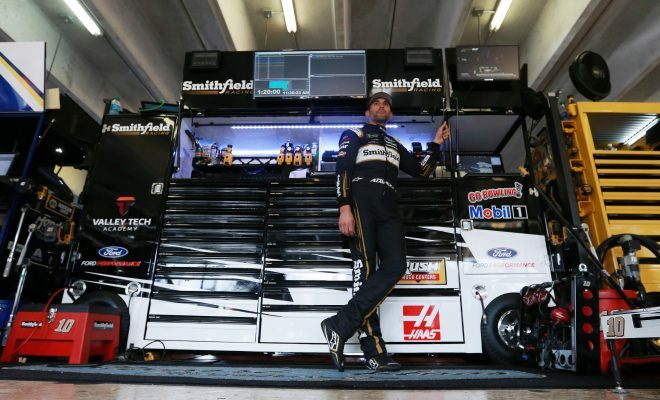 After a disappointing Speedweeks where he was part of the majority of cars caught up in some sort of mayhem, Almirola will be looking to get his sophomore season at Stewart-Haas off to another solid start. 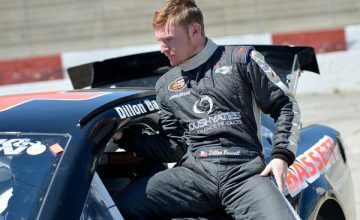 Considering the fact that last year, he didnâ€™t have a start better than 10th until race 12 at Kansas; he is making his life easier this year already. With two other SHR teammates in the Top Five, itâ€™s a pretty familiar story, but with Kevin Harvick mired down in the field with steering issues, it could be one of the other SHR driverâ€™s time to shine. After the heartbreaking finish for DiBenedetto and the Leavine Family Racing team last week, they are off to a pretty good start to their maiden intermediate track event. Both team and driver last year averaged a 27th or lower starting spot, so there is already some marked improvement; granted, one race in and with the anomaly of the Penske cars struggling. No one is expecting LFR to step directly into the shoes of the defunct Furniture Row as a dominate team, and this solid but not world beating result could help to temper the expectations to a more manageable level. Back to averages, between driver and team, this pairing averaged a three place gain from their starting position last year, which means that even if they do not improve on that average starting this race, they would still guarantee themselves a top-17 intermediate track finish, which considering LFR only had two all of last year, and DiBenedetto only had one, would be a great start to their partnership. The beard is back. With Go FAS losing some partners over the off-season, having Old Spice come on board has been quite the boon in terms of marketing and exposure, and this week they return again; along with Coreyâ€™s whisker wrap for the car. While they came out of Daytona bruised, the team salvaged a 22nd place finish. While the weekend started out pretty prototypical for them with a 30th place practice result, Corey and Co. pulled out a couple great laps to help them secure a 24th place starting spot. 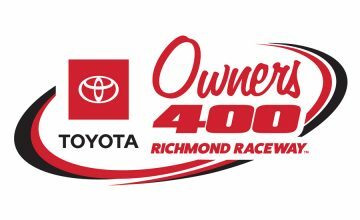 Even with two years of DiBenedetto out qualifying his equipment, the teamâ€™s lifetime 34th place average starting spot speaks for itself, so for them to nab a top-25 place start this early in the year has to give the whole group a heap of confidence leading into Sunday. As noted, itâ€™s hard to predict what exactly will transpire on Sunday, but if team and driver follow their averages, a top-20 finish is not out of the question, and for this little team, a top 20 on an intermediate track would be huge. Itâ€™s a tall order no doubt, but in racing, the only thing you can ever expect is the unexpected.